I’ll be teaching a one-day workshop at Stanford on Saturday, Feb. 9, 2019, on how to self-publish a book. Registration started on Monday, Dec. 3. The workshop is designed to give you a clear overview of the self-publishing process–how it works, and what it requires of you. Joining me will be author Anne Janzer who has self-published several books (including The Writer’s Process, The Workplace Writer’s Process, and Writing to Be Understood). A Silicon Valley marketing expert, Anne will be talking (from deep in the trenches) about what she has learned about marketing self-published books, and how she was able to reach #1 bestseller in her category on Amazon. Enrollment is limited to 25. If you’d like to join us, act quickly as the workshop often fills to capacity within a few days. 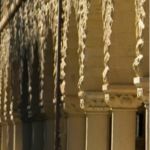 Register at Stanford Continuing Studies. Just before BookExpo, I had lunch with two self-published writers to swap book marketing tips. We were trying to crack the code for getting books accepted by BookBub, the Cambridge-based company that sends out daily ebook promotions via enewsletters to millions of subscribers. 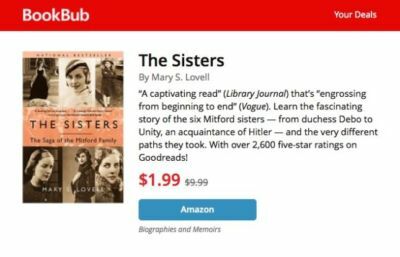 Bookbub has a reputation for selling thousands of an ebook at a pop—and easily returning revenues that exceed what they charge for a book promotion. But the problem is they’re very selective in the titles they accept for a Featured Deal promotion—and both of my writers were initially rejected by them. But why? Was it the number of reader reviews they’d gotten on Amazon? The formats the books were published in? The editorial reviews from Publishers Weekly and the like? The discounted price points? We speculated on all these possibilities. 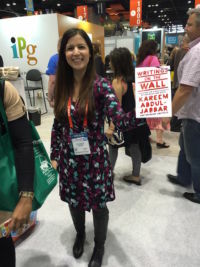 So when I saw the Bookbub folks at BookExpo, I pinned them down to see what I could learn. Here’s a summary of what they said, along with some ideas from those two writers in the trenches. • Each day Bookbub gets over 300 submissions for each of its 40+ categories (thriller, mystery, self help, etc). They normally choose 2-3 to promote. Not great odds. • Decisions are made by 15 editors who specialize in various genres. They don’t (can’t) read all the books submitted, so they make their decisions based on additional criteria submitted by writers and publishers—reviews, formats, price, topic, etc. 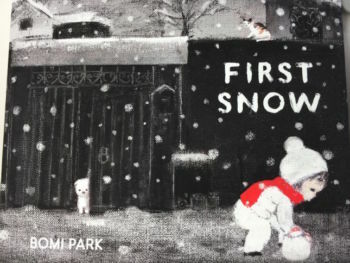 • Because Bookbub tracks their sales data closely, they know what’s trending among their subscribers, and they choose books with trending characteristics—themes, plots, topics. • Bookbub does look at reader reviews on Amazon. My writers heard that you must have 35+ reviews to be considered, but Bookbub claims that no minimum number is required: decisions depend on the day your book is submitted, and the other books in the mix on that day. • Bookbub expects all books to be discounted for the promotion. My writers tried various price points and found best results when books were $.99 (yes, they made money even at that low promotional price). 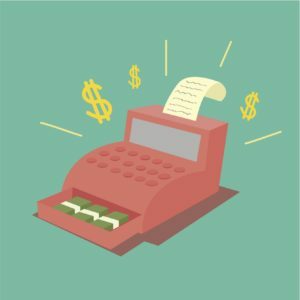 Bookbub claims that they only require your book be discounted by 50%–but of course, better pricing tends to increase the likelihood of a book being chosen. • Bookbub reaches subscribers in the US, UK, Canada, India and Australia, and books submitted for all those categories rank higher than books submitted for the US market only. 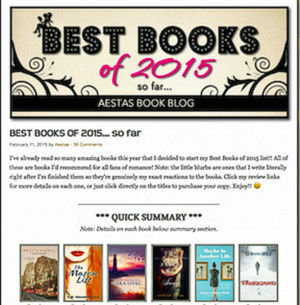 • Bookbub prefers books published on all ebook platforms. My writers heard that Bookbub wouldn’t consider books that were published only on Kindle. Bookbub says that’s not true—but ebooks published only on one platform have less of a reach than those published on Kindle, Nook, Kobo, iPad and others. Set your margins wide–around .75″ to 1.0″ (depending on the trim size of your book). Most self-published authors make margins too narrow because they can save money on paper and printing–but that’s false economy. Experiment with line spacing at something a little larger than single-spacing. Try 1.2 spacing. Then eyeball the results. Too dense? Too airy? Adjust as necessary. Except for some novels, start each chapter on a right-hand page. That means left-hand pages are sometimes blank. Start the first line of a new chapter about a third of the way down the page. Consider starting the first line of text in a chapter with a dropcap (see example in the right-hand book above). Whether you go that route depends on what the rest of your chapter opener looks like. Position your subheads on the line directly above the text block they introduce. And set them off with a linespace above to separate them from the previous text block. They should never float equidistant between the previous and the subsequent text blocks. If a subhead requires two lines, try to break the first line so that it is shorter than the second line. This creates the illusion that the second line is a foundation for the first line. For most pages, create a header (usually consisting of the author’s name on the left-hand page and the name of the book or chapter on the right-hand page) and a footer (usually consisting of a page number). Remove the header and footer on the first page of every chapter. Remove the header and footer text on all blank pages. Blank pages should be entirely blank. Remove the header or footer text in the front matter (title page, copyright page, dedication, table of contents, etc) and back matter (acknowledgments, about the author). Not sure? Check some traditionally published books on your shelf. Never allow a widow (one or two words) or orphan (a single line of text) to appear alone on a page. Cut or add text to fix this problem. Make sure your title page appears on a right-hand page. Generally, the copyright page appears on the following left-hand page. If all that makes your head ache, you might want to consider using a preformatted book template. All these details are baked into these templates, and all you do is cut and paste your manuscript into the right sections. Basic templates are free on the Createspace site (log in to your account, click on Interior in the left-hand navigation bar). If you want something a bit spiffier, take a look at the templates available through www.bookdesigntemplates.com. At $59, they can save you a lot of trial-and-error. 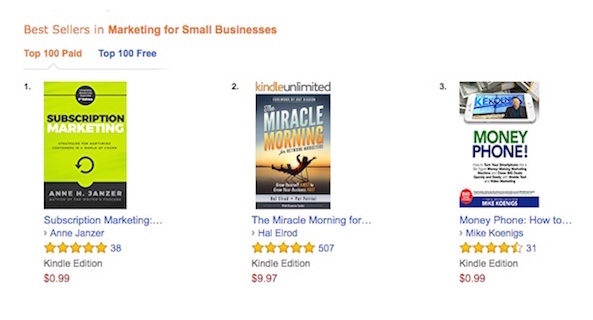 Kudos to two of my authors whose books hit #1 in their categories on Amazon in the past few weeks. Both authors wrote excellent books for specific audiences, sought out professionals to design and edit those books, and executed well-focused marketing strategies–including arranging for pre-orders–to get the word out. More on pre-orders in a subsequent post. 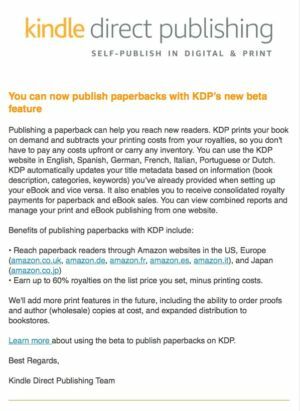 You may have gotten this announcement from Kindle in the last month: Make life easier by publishing both your ebook and your paperback with Kindle Direct Publishing (KDP), and you get a 60% royalty on your print book (whereas Createspace generally pays 40%). One of my authors and I jumped on this offer early—and quickly found that KDP is not ready for primetime. Leaving out all the pleasantries, here’s what happened after we uploaded our book files. KDP: Sorry. Files rejected. Text must not be present in the barcode location. Us: Hmmm…that’s strange. Createspace wants text in the barcode location. Are we not able to use our own ISBN with this new process? Oh, well. KDP: Sorry. Files rejected. Text must not be present in the barcode location. And the disc reference should not imply that the disc is packaged with the book. 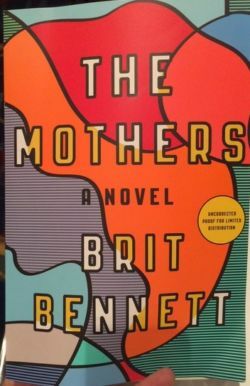 Us: Free our book! Give us back our ISBN number! KDP: Sorry. We can’t help. We recommend you publish on Createspace using one of their free ISBN numbers. In the end, we did publish on Createspace, but we did not use their free ISBN number because we did not want Createspace to be listed as our publisher. We purchased a second ISBN number of our own. And by the way, if this isn’t enough to make you think twice, KDP is also currently unable to send you a proof copy of your print book to review before you publish. I’m pleased to announce that three of the writers with whom I work have been named finalists in Foreword Reviews‘ 2016 # ForewordINDIES Book of the Year Awards. These titles will be featured by Foreword at both the American Library Association Conference and BookExpo 2017. In a competition with over 2,200 entrants, it’s pretty great that they have made it so far. Most of the writers using self-publishing techniques to reach readers know something about discounting books. They know that if you want to make your book attractive to bookstores, you must 1) offer your book to bookstores at a discount of 30% and 55%; and 2) make sure your book is returnable, because bookstores won’t buy books that aren’t returnable. To date, the only print-on-demand (POD) vendor who’ll allow you do both those things is Ingram Spark (IS). In fact, that’s the main reason Ingram Spark has become so popular: it’s the way into bookstores. Or so we all think. But let me tell you a story about a book that a pair of savvy business writers published through Ingram Spark this past spring. We knew we wanted the book in bookstores, so we decided to offer the book at 40% discount. We assumed the discount would be passed down the line to bookstores. Not so. When we went to our local indie bookstore and looked up the book in the Ingram catalog, the discount offered was not 40%–but 5%. When I asked Ingram Spark about this at BookExpo last month, I was told that IS books were distributed by Ingram Book Company, a separate entity that took 10% and 15% before offering the book to bookstores. By the time it got to our little bookstore (which doesn’t have much clout in the distribution chain), the discount had dwindled to 5%. What does that mean for writers? It means that you might as well not try to get your self-published book into bookstores because you’ll never be able to offer it at a discount that’s competitive. You might as well spend all your efforts finding your readers through Amazon. Personally, I’m very surprised that Ingram has allowed this situation to exist, and that they’ve not been more transparent about how discounts are allotted. (Here’s Ingram Spark’s official statement on why you should discount your book.) As the premiere distributor of books to bookstores in this country, Ingram has a vested interest in helping independent authors sell their books into bookstores. Ingram Spark already takes 45% of your revenue for its POD services, plus an additional fee for printing your book. Does Ingram Book Company really need an extra 10% to 15% for distributing it? Filed under: book distribution - book marketing. Print book, ebook, or both? I help writers publish books in both print and ebook formats. But I’ll admit: I have a strong preference for print. That’s because I find it easier to read print books than ebooks–despite all the fuss about resizable text. I read mostly at night, and that iPad screen does indeed disrupt my sleep rhythms. And as it turns out, a new scientific study backs up my preference. A summary of that study on Mic.com reports that recall is better among people who read print vs. ebooks. Ebooks cost less, so I can sample more. Ebooks allow me to search content–great for nonfiction titles. I can easily add audio and have the book in my ear when I’m doing other things. This may be why 98% of the writers with whom I work end up publishing in both print and ebook formats. Filed under: ebooks - print books. 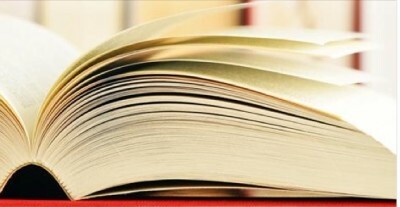 The emergence of “influential readers” has changed the way books are discovered. These folks–Vine Voices on Amazon, notable readers on Goodreads, certain book bloggers–have enough clout to push a book up in popularity so that SEO algorithms are triggered. 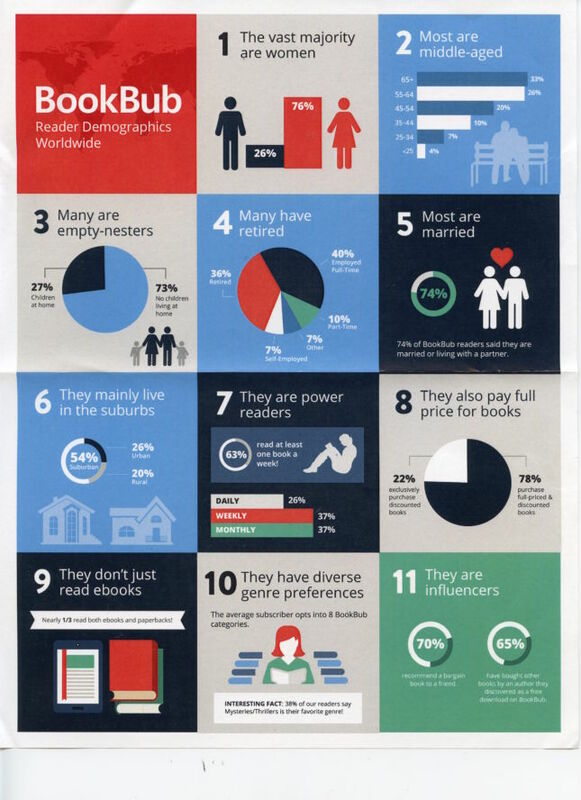 Otis Chandler, cofounder of Goodreads recently wrote a piece for Digital Book World on who these infiuential readers are and how to find them. It’s well worth a read.